SCARLET CLAW ’44 LB 1 SH POSTER BASIL RATHBONE IS SHERLOCK HOLMES CLASSIC! LOOK! 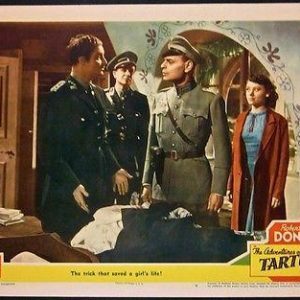 THE SCARLET CLAW (Universal, 1944)Size: Original U.S. One Sheet Poster (27″ x 41″).Condition: Overall displays in Very Good Condition. RARE Original linen-backed One Sheet for the classic 1944 Sherlock Holmes tale, THE SCARLET CLAW, displays fold line & cross-fold touch-ups, touch-ups to fold wear, borders and background where necessary expertly addressing any general wear, border tears & border chips, etc., and this original linen-backed One Sheet poster for THE SCARLET CLAW, displays rich color and spooky artwork reflecting the tradition of Universal’s horror films! Featuring a glowing monster and victims with their throats ripped apart, THE SCARLET CLAW is thought by many to be the best in this legendary series.Please refer to the attached images and enlarge for a detailed view of this RARE Original linen-backed One Sheet for the classic 1944 Sherlock Holmes tale, THE SCARLET CLAW, which many consider the best in this legendary series starring Basil Rathbone & Nigel Bruce. 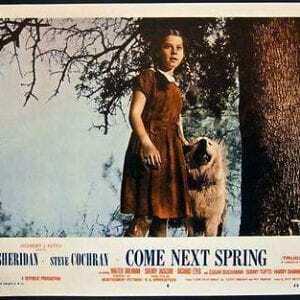 COME NEXT SPRING '56 TC + LC #6 & #7 ~ ANN SHERIDAN ~ THE AMERICAN QUIET MAN! 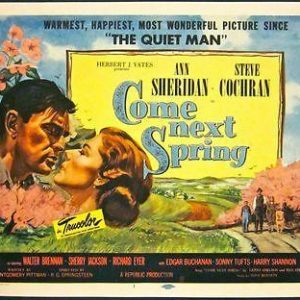 COME NEXT SPRING ’56 TC + LC #6 & #7 ~ ANN SHERIDAN ~ THE AMERICAN QUIET MAN! 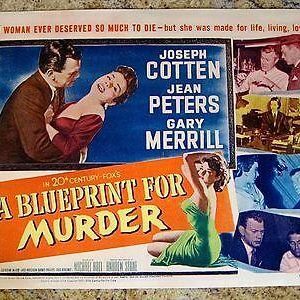 A BLUEPRINT FOR MURDER '53 TITLE CARD ~ JOSEPH COTTON & BAD GIRL JEAN PETERS! 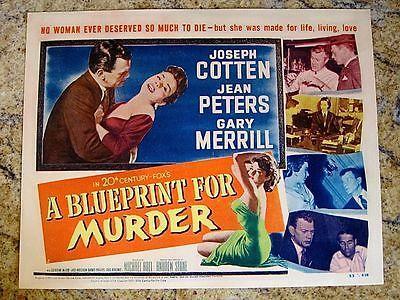 A BLUEPRINT FOR MURDER ’53 TITLE CARD ~ JOSEPH COTTON & BAD GIRL JEAN PETERS! 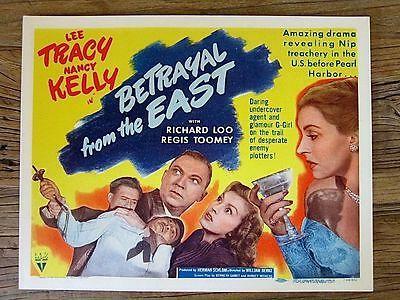 BETRAYAL FROM THE EAST '44 NEAR MINT TC + LC ~ WWII JAPANESE ESPIONAGE THRILLER! 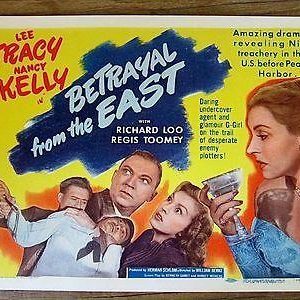 BETRAYAL FROM THE EAST ’44 NEAR MINT TC + LC ~ WWII JAPANESE ESPIONAGE THRILLER! CHARLIE CHAN IN PANAMA '40 TITLE CARD ~ SYDNEY TOLER & VICTOR SEN YUNG! ~ RARE! CHARLIE CHAN IN PANAMA ’40 TITLE CARD ~ SYDNEY TOLER & VICTOR SEN YUNG! ~ RARE! 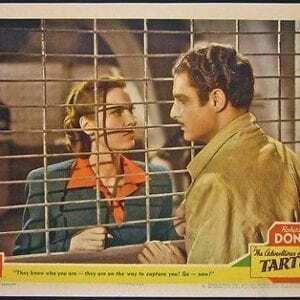 ADVENTURES OF TARTU '43 LC #6 & #8 ~ ROBERT DONAT & VALERIE HOBSON! ~ VERY RARE! 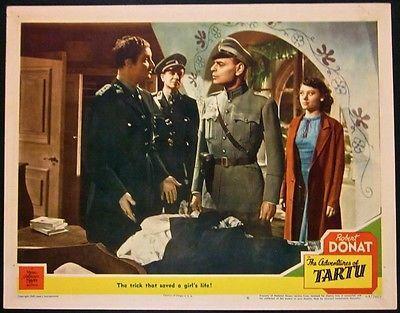 ADVENTURES OF TARTU ’43 LC #6 & #8 ~ ROBERT DONAT & VALERIE HOBSON! ~ VERY RARE!